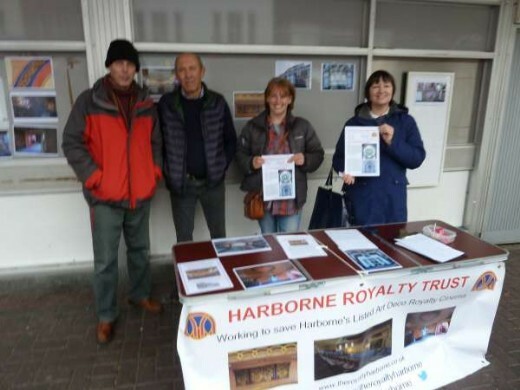 Harborne Royalty Trust have been running a series of public consultation opportunities and talks to support the project. We regularly provide updates at the Harborne Ward meeting to Councillors, Officers, members of the public and local Societies. We have also attended and made ourself available for meetings with the local Police to address concerns over security issues with the building. 1st July - Harborne High Street. This was our first appearance at the Carnival and we were rushed off our feet with the level of interest. It was a hot day but fortunately we had some shade. So many visitors to the stand. It was a fantastic response. 11th November - Harborne High Street. This was our second appearance at the Market and what a successful day it was. Visitors to the stall were constant with just one person opposing the project. Many people without prompting suggested ideas for the buildings use aligned to our own which shows we are on the right track. More residential apartments was not well received at all particularly by those who one might have expected to be supportive of them. The stall was manned by Board members and also supporters of the project who gave up their time on a cold November morning. Our contact base is now expanded still further. 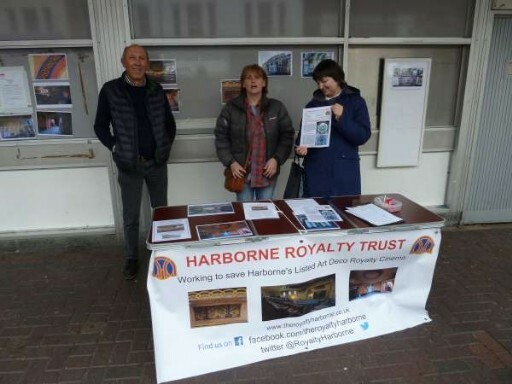 Local politicians who visited the stall were given the clear message this is a project that needs to be supported for the benefit of Harborne.